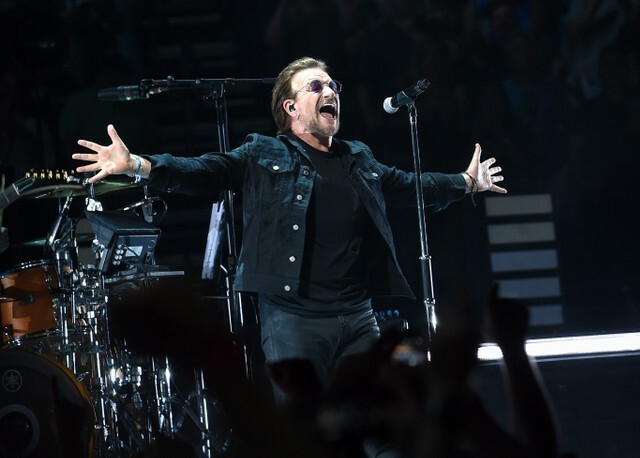 U2 have announced a new project due on Record Store Day (April 13) entitled The Europa EP. Side A of the three-track 12-inch recreates U2’s opening for last year’s Experience + Innocence Tour (not to be confused with the band’s 2015 Innocence + Experience Tour), during which they took the stage to Charlie Chaplin’s final speech from the 1940 movie The Great Dictator, set to a mashup of Zooropa’s title track and the Songs Of Experience song “Love Is All We Have Left,” before transitioning into the War single “New Years Day.” The version of “New Years Day” on the EP was recorded live in Dublin last November. Side B features a “New Year’s Day” remix by London band St. Francis Hotel and a “Love Is All We Have Left” remix by London DJ Jon Pleased Wimmin. U2’s last full-length Songs of Experience was released in 2017; read Spin’s review here. The new EP, complete with a cover inspired by Chaplin, will be exclusively available at select stores, which you can view at Record Store Day’s website. More information on the release is available here.